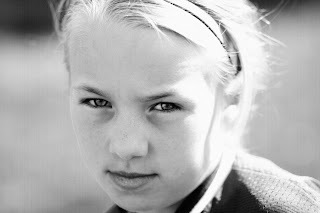 "No Fear"....this kid is a force to be reckoned with, especially on the soccer field! When she sets her mind to something she will not stop until she accomplishes it. She is Determined! Their soccer team is doing awesome so far this year....1 tie and all the rest wins. Keep it up Chihauhuas!